I believe what I have here is a newly repackaged Pou~Pourri and I have to say that the new bottle design looks fabulous! Housed in a thin and tall bottle (I have here the large 118ml size) adorned with intricate artwork that's personalized to the scent, the Pou~Pourri has an easy-to-use spritzer dispenser. I love how whimsically fancy they've made a toilet spray! 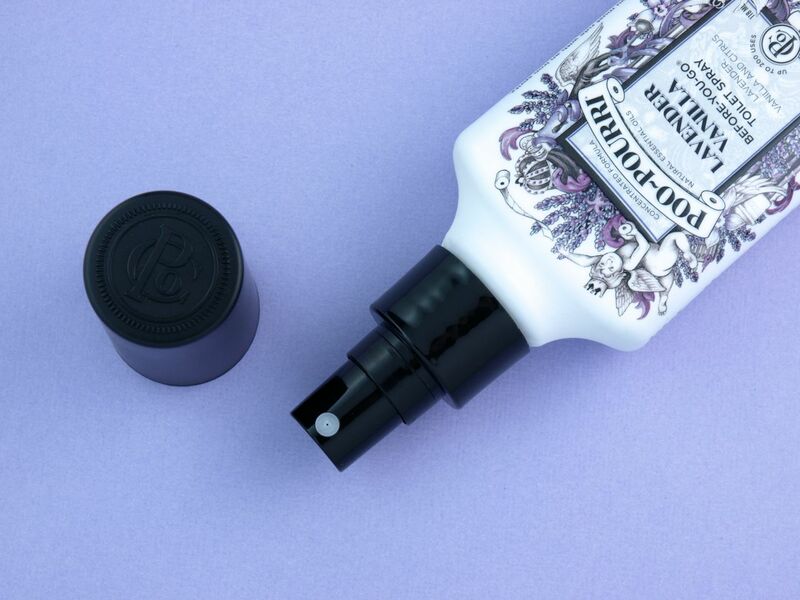 Heck, even the cap has an impression of the Poo~Pourri monogram! 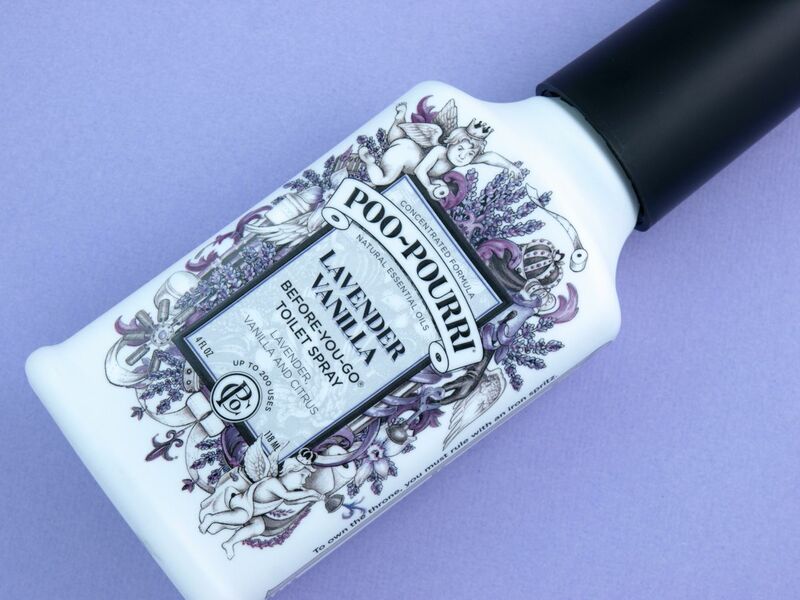 I reckon that because Poo~Pourri is not a beauty or skincare product, its ingredients are not fully disclosed. However, all the Poo~Pouri toilet sprays partially contain a special blend of essential oils. The Lavender Vanilla scent (one of the many available blends) has an incredible mix of refreshing citrus, sweet vanilla, and elegant lavender. To use this toilet spray, simply spritz a few sprays directly onto the water in the toilet bowl and then do your business as you please. I was actually pretty surprised that the formulation has a milky color, but it does help me visualize how much I've sprayed. So I guess the big question is does this work? Does this spray magically mask all smells of your yucky BM? Well, not completely but I'd say it masks about 90% of the stink. And after you flush, there's virtually no traces of any odor; you are left with a refreshing and lovely blend of essential oils. 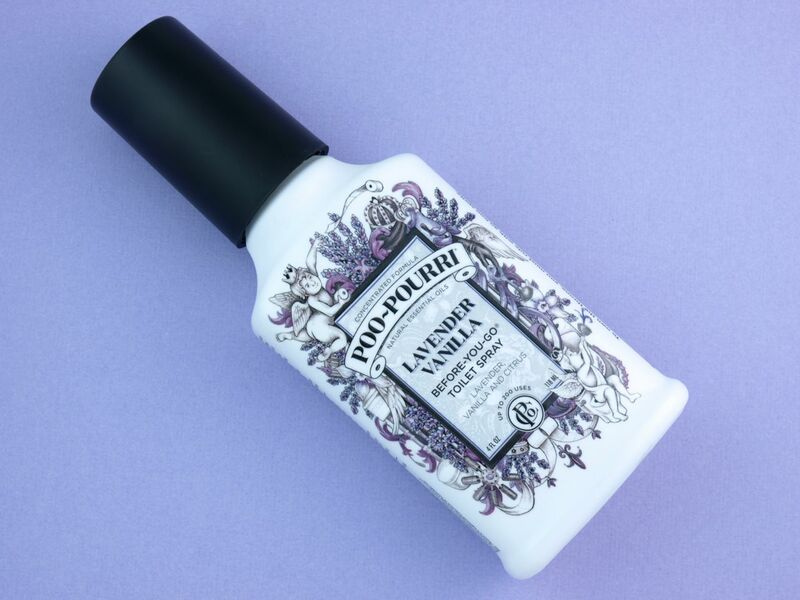 I didn't believe it but Poo~Pourri really does leave the washroom smelling better than before you've found it. I know this is somewhat intended as a gag gift but honestly, I think this is a great addition to guest washrooms! And for someone like me who is a sucker for nice smelling things, I would continue to use it just to give my bathroom a little natural refreshener! Pou~Pourri is now available online at Nail Polish Canada.